← OPEN DISCUSSION: DO YOU THINK KIM KARDASHIAN NEEDS A MENTAL EVALUATION? 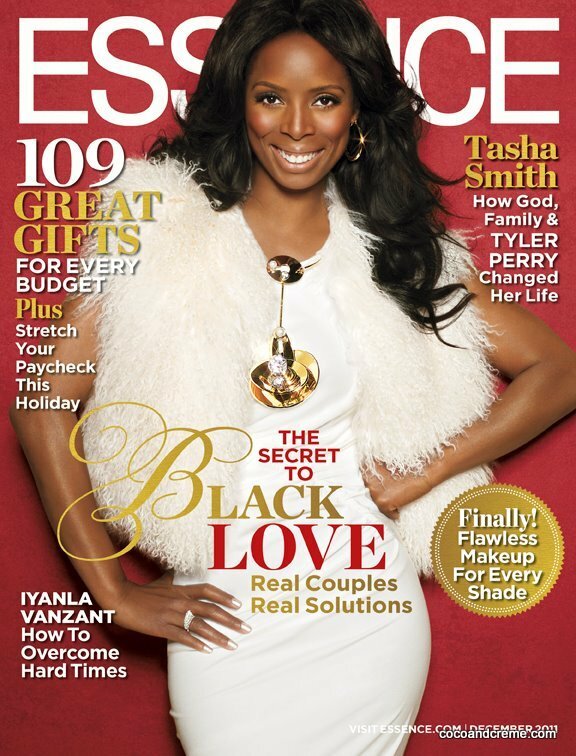 Tasha Smith looks absolutely gorgeous on the cover of Essence Magazine new December 2011 issue. Tasha who is most known as her role as Angela in Tyler Perry’s movie series “Why Did I Get Married” has come from little nothing to whole lot of something! The actress who has a twin sister named Sidra has been making movie since 1994 but it wasn’t until her role in the 2006 movie “ATL” that placed her ahead of the competition. But what you don’t know is that her life was not always so “perfect“, she was homeless, a drug addict & had no sense of direction. “All those years ago, I was a girl with this dream, but with no education, no confidence, no self-esteem, nothing. And now God has brought me to this place of destiny, and He’s not even done with me yet,” Smith told Essence. “I’ve been to the worst place I could ever be, but I always had a dream—I knew I was going to go to Hollywood and be legit. Your dream, is the best thing you’ve got. I was going to the bar with my boyfriend, smoking cigarettes and ordering Hennessy. But I knew I wasn’t going to sell drugs and have five kids with five different men. This just got to prove that you never know what someone else has been through to get to where they are today…. This entry was posted in INTERVIEWS, MOVIE NEWS and tagged TASHA SMITH. Bookmark the permalink.